1943's 20th Century Fox musical Coney Island receives its first legitimate home video release through Fox's Cinema Archives DVD-R series. The movie is set in the "Gay 90s" amongst the seaside attractions of the title area (though shot in Hollywood). Box-office and pin-up sensation Betty Grable stars as singer/dancer Kate Farley, who performs at the "Ocean Gardens" nightclub owned by Joe Rocco (Cesar Romero). 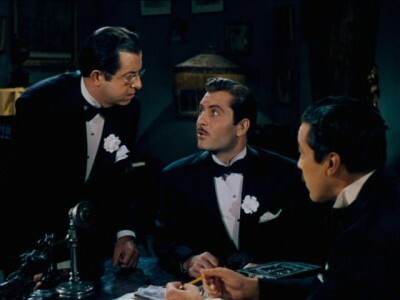 Joe's former partner Eddie Johnson (George Montgomery), after running a number of failed sideshow attractions with new partner Frankie (Phil Silvers), tries to persuade Joe to let him have a part in running Ocean Gardens but Joe refuses. After a humorous series of back-and-forth sabotaging of each other's operations (including Eddie starting a rumor of disease spreading through the drinks at Ocean Gardens, and Joe inciting a riot at Eddie's sideshow after having a patron claim he'd been pickpocketed there, and culminating in Eddie having a fight start at the Gardens' bar and leading Joe to believe a man was killed there), Joe finally agrees to let Eddie in. Eddie suggests catering to a more upscale audience, with Frankie saying "After all, what are right people? Poor people with money!" Eddie sees potential in Kate's performing, but feels that it's been "cheap and gaudy" so far with her songs too loud and fast and her costumes rather tacky. The first night he takes over the show, he orders her to sing at a slower pace and not dance around so much, and handcuffs her arms and legs together before the curtain opens to ensure that she does. Despite threatening not to sing at all, Kate relents when the curtain opens and the audience loves it. Soon business triples, the club gets a nice remodel and Kate becomes a big star. After this there's a few conflicts as Kate finds other venues interested in her and both Eddie and Joe vie for her affection. 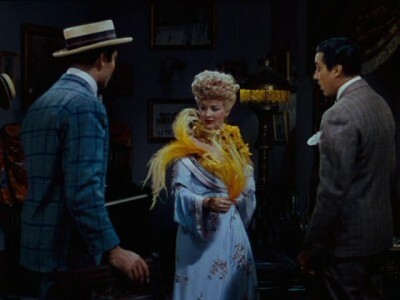 Most of the musical numbers are in the context of their being performed onstage, with the exception of a rather rousing number with the title song done by everyone present in the first scene at the Ocean Gardens club, and a reprise of the same song later during a night gathering on the beach. (Being a closet fan of musicals, I certainly prefer when the songs are done as part of the story rather than being done as part of a stage act within the plot, but that's just me.) 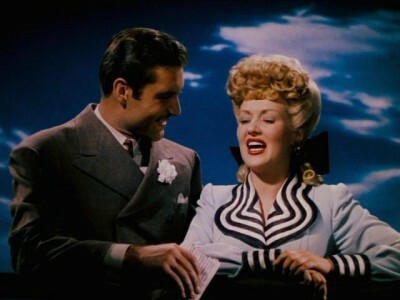 The original songs were composed by the team of Ralph Rainger and Leo Robin. Coney Island is certainly entertaining enough, though at times there's just a bit more time between songs to my liking, and a few of these dialogue scenes also drag some. Phil Silvers' character Frankie also mysteriously disappears around the halfway point and doesn't return til the end, which is unfortunate as he provides the biggest laughs. Betty Grable of course is the star of the show however and she certainly delivers. 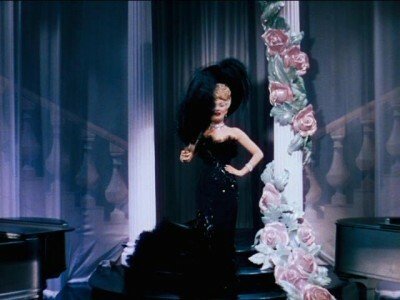 The movie ends on a very high note with the lavish "Danger in a Dance" number. 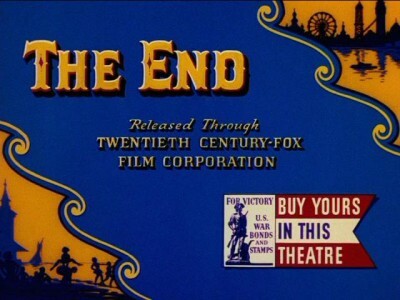 An interesting historical bit, being that this movie was released during World War II, is that the "The End" card includes a notice about U.S. War Bonds and Stamps, with the words "Buy Yours in This Theatre." I love seeing stuff like this and was glad it was retained here as it was irrelevant during any later reissues the movie may have had (I've noticed this on a few other movies of that era.) Another nice touch is that the movie's intro is sung by a chorus, with "20th Century Fox Presents" and the cast. Despite the less-than-favorable reviews of other Fox Cinema Archives titles, Coney Island looks very good here and appears to be a recent transfer. The picture is very sharp, with no significant dirt or scratches and the encoding has only minimal compression artifacts, looking very good for a standard DVD. Audio is in 2-channel Dolby Digital "big fat mono", with the sound staying properly in the center channel with Pro-Logic decoding. While the quality isn't comparable to any modern production, it sounds very clean. The disc is on a DVD-R, using the special format studios have been using for their burned-on-demand releases which allows for CSS copy protection to still be included. The disc played as well as a normal disc, but I have to criticize the placement of chapters automatically at every ten minutes, rather than being chaptered in any logical manner. When DVD recorders first hit the market I noticed most of them defaulted to this, and always felt it was rather silly. Burned DVDs I have produced myself for my own use have always been chaptered as I saw fit, and it's puzzling that the studios producing these discs being sold to the public couldn't find one person willing to do the same. Coney Island was a significant musical of the 1940s but strangely has never been released on any home video format until now. Despite being a DVD-R with "auto-chapters" and having no extras, the presentation is still very good and in the end that and making this movie available is what matters.